Maximum comfort, soft on your skin. Maximum comfort, soft on your skin. A blend of plant ellulose and fine cotton with a ministripe pattern, the Bio-Weave Shirt is the latest in stylish business wear. The men’s shirt features removable collar stays for a crisp finish, while the ladies’ shirt features a ? sleeve with buttoned cuffs. Both men’s and ladies’ styles feature a semi-fitted cut with a curved hem. Produced using an environmentally-friendly manufacturing process. 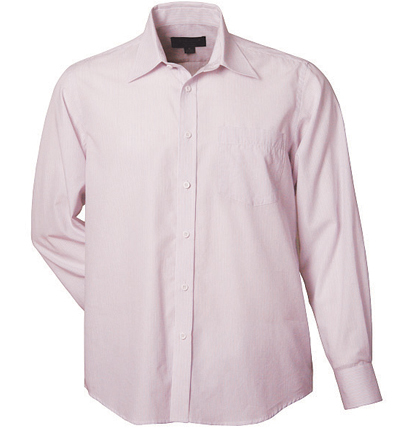 For many businesses, finding a good promotional business shirt is about finding a product within their price range that will suit their staff members. However many businesses are now starting to add “environmentally friendly” as a requirement in their choice. The Bio-Weave Men’s Shirt fits this requirement. 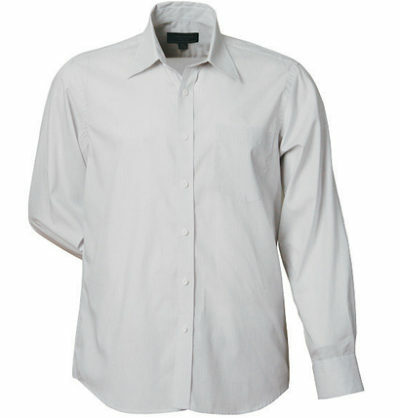 Made from a blend of plant cellulose and fine cotton, these branded business shirts are produced with an eco-friendly manufacturing process, and offer maximum comfort with a soft feel against the skin. Available in three colours suitable for any industry, the Men’s Bio-Weave business shirt features a mini stripe pattern, removable collar stays and a semi-fitted cut with a curve. They are available in sizes small to 5XL ensuring your entire team will look professional and will be able to work in comfort no matter the temperature or task. The Bio-Weave Men’s corporate business shirt can be teamed with the women’s version to provide a complete look across your team. When looking for your next branded business shirt, choose the environmentally friendly option with the Bio-Weave Men’s Shirt.